In the Dashboard, tap the Week icon. 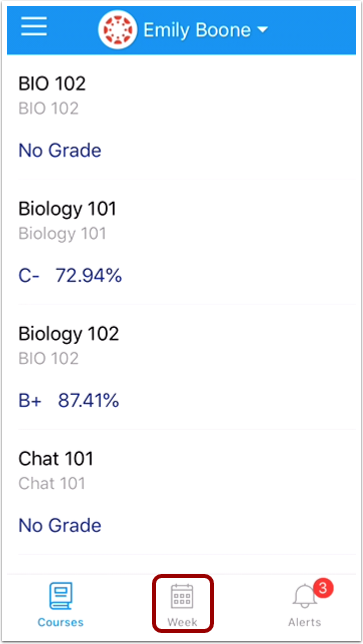 Previous Topic:How do I view courses for a student in the Canvas Parent app on my iOS device? 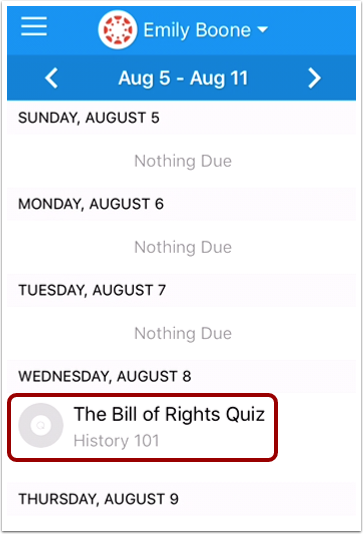 Next Topic:How do I create a reminder for an assignment or event in the Canvas Parent app on my iOS device? 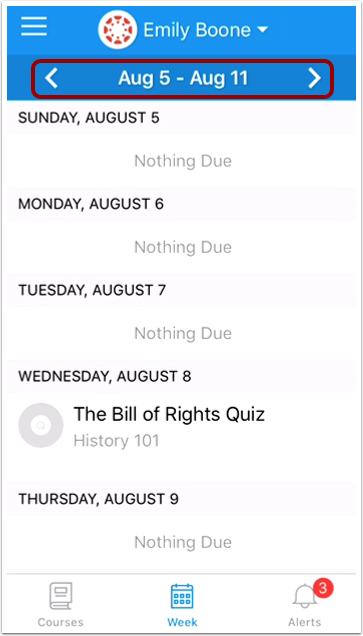 Table of Contents > Observers > How do I view the calendar of events and assignments for a student in the Canvas Parent app on my iOS device?